The small console is triggering our nostalgia in a big way. 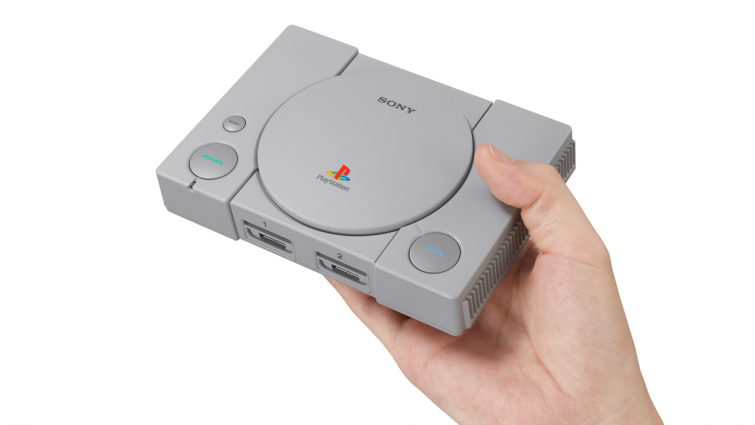 If your family enjoyed the NES Classic and SNES Classic, but you’re looking to move onto something a bit more modern, Sony revealed the PlayStation Classic, a miniaturized version of the original PlayStation video game console first released in Japan in 1994. Like the shrunken consoles that have come before it, the PlayStation Classic will come with games already pre-installed. In this case, gamers will be able to play 20 classic titles, with five being announced so far: Final Fantasy VII, Jumping Flash, Ridge Racer Type 4, Tekken 3, and Wild Arms. Don’t worry if you don’t have any old PlayStation memory cards lying around the house. (On the original PlayStation, these were used to save your progress). You can suspend your games when you’re done playing, and then quickly pick up where you left off next time. The console will include two wired controllers, as well as an HDMI cable for hooking it up to modern TVs. Interestingly, you’ll need to purchase an AC adaptor separately. The PlayStation Classic will be available for $99.99 in the U.S. starting December 3, and pre-orders are already available at stores like Best Buy. For reference, this is more expensive than Nintendo’s two “classic” consoles. The NES Classic costs $59.99, and the SNES Classic costs $79.99. When they first launched, the NES Classic and the SNES Classic sold out super fast, as older gamers and even parents were excited to relive games from their childhood with their own kiddos. We don’t know whether or not the PlayStation Classic will follow in this trend, but it’s something to think about when considering whether to buy one in advance.